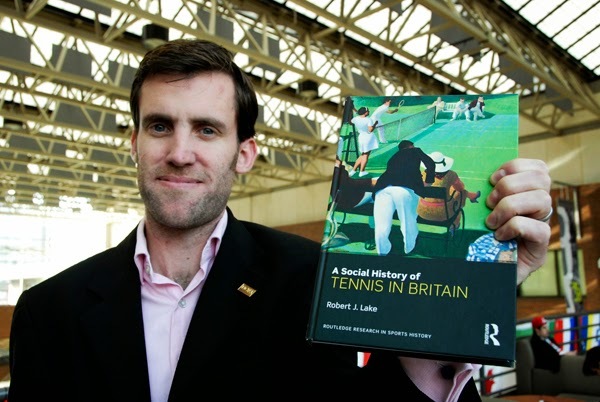 Join Sport Science instructor Robert Lake to celebrate the launch of his recently published book, A Social History of Tennis in Britain. In the first comprehensive and critical account of the history of tennis in Britain, Lake explains how the game’s historical roots have shaped its contemporary structure, and how the history of tennis can tell us much about the history of wider British society. Meet Robert and learn more during an upcoming book launch event. New Westminster Campus, 700 Royal Ave.
Visit the Douglas College website for more information about the Sport Science program. ← This week at Douglas College: Gallery opening, free concert and more!